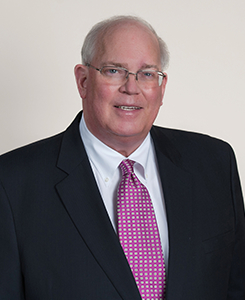 Before moving to the Washington area, Mr. Graham, a native of Jefferson City, MO, devoted himself to serving four terms as a Missouri State Representative, as legal counsel to the Missouri State Auditor, as assistant attorney general, as a Commissioner of the Administrative Hearing Commission, as well as an Administrative Law Judge for contested matters related to the regulation of the state’s surface transportation industry. Simultaneously he served as the State Judge Advocate and Ethics Counselor in the Missouri National Guard, retiring after 30 years’ service with the rank of colonel in the Army Judge Advocate General’s Corps. He served as an elected city attorney and was a law clerk for the Missouri Supreme Court. He was in private practice for 24 years. Prior to joining The Federal Practice Group, Mr. Graham was Of Counsel to another Washington law firm. He served as an Administrative Judge (AJ) at the Defense Office of Hearings & Appeals (DOHA), where he conducted in-person hearings, evaluated evidence and testimony and issued decisions on the revocation or denial of government level security clearances, including secret, top secret, and top secret/SCI, granted by the Department of Defense and 31 other agencies. In 2003, Mr. Graham was elected President of the National Association of Administrative Law Judges. Two years later, he was chosen Chair of the American Bar Association, Judicial Division, National Conference of the Administrative Law Judiciary. Mr. Graham earned his Juris Doctor from the University of Missouri Law School in Columbia, MO, as well as a Masters of Law in Taxation at the Georgetown University Law Center in Washington, D.C. He holds a Bachelor of Science in Business Administration from the University of Missouri. He is a graduate of The Lawrenceville School, Lawrenceville, NJ. Chris provides representation to federal employees, military personnel, and government contractors seeking representation in their security and facility clearances including application counseling, Statement of Reasons responses, clearance revocation, and suspension or denial appeals before the Department of Defense Office of Hearings & Appeals (DOHA), and other tribunals of US Government agencies. Chris is a vastly experienced national security attorney who is able to assist all individuals or corporations attempting to secure a clearance of any level. Mr. Graham and his wife Marsha recently celebrated their 47 th anniversary. They have three daughters and welcomed the arrival of their first grandchild in November 2013.